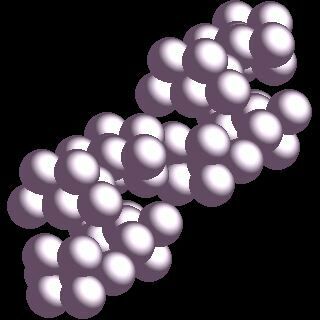 Phosphorus crystal structure image (ball and stick style). 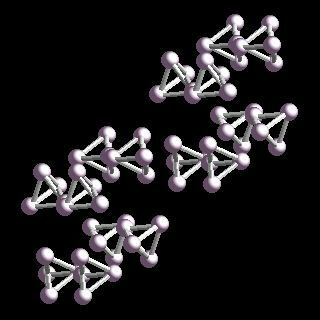 Phosphorus crystal structure image (space filling style). A. Simon, H. Borrmann and H. Craubner, Phosphorus and Sulfur and the Related Elements, 1987, 30, 507.